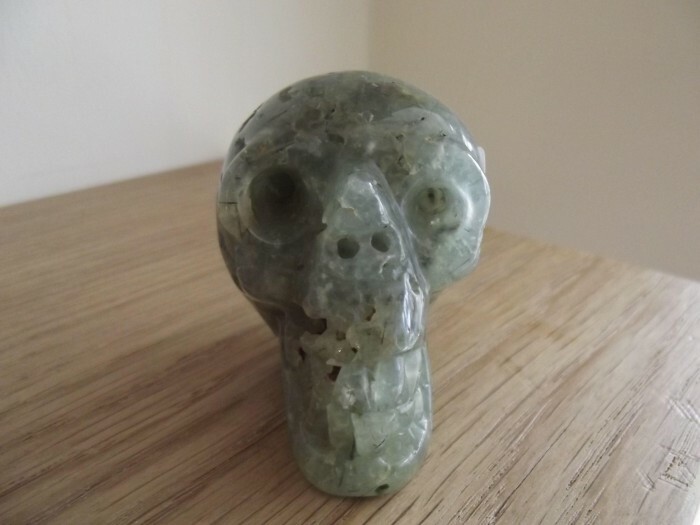 A crystal skull is a model of a human skull generally made out of quartz crystal, but not always, as in the case of Chinese jade skulls. Crystal skulls vary in size from a few inches to the size of a human head, or bigger. Humanity has always been on an esoteric journey to solve the mysteries of its creation linked to people and objects that allegedly contain higher powers, or can enhance those of the questor. Technology and the Internet help move consciousness to that place, with great precession, as if it was all part of a cosmic plan. We can sense the truth, soon to be revealed, about who we are and why we are here. Holding an object to exchange energies and/or receive messages with it, is called psychometry. To find messages while look at the inclusions within a quartz crystal, or crystal skull, is a form of divination called Scrying.